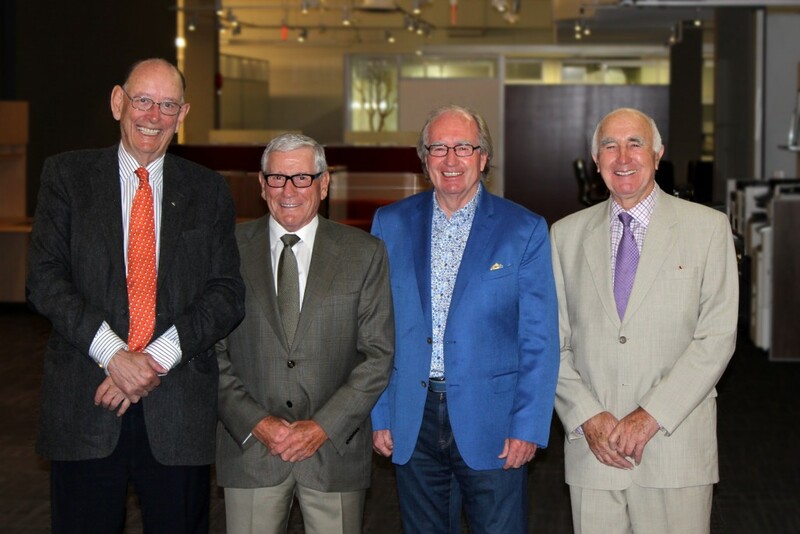 In late September, we celebrated the philanthropic generosity of four incredible friends. Bob Harris and his family, with the families of Bill Kujat, of Safeway Holdings; Charlie Guille, of Cougar Construction; and Ross Glen, of RGO Office Products, made together an incredible contribution of $5.6 million towards Accessible Housing’s new 45-unit home. The building with studio and one-bedroom units has been designed to provide affordable, safe, barrier-free housing with supports. The home is being built through funding raised through Accessible Housing’s partnership in the RESOLVE Campaign, a unique collaboration of nine Calgary organizations with the goal to raise $120 million to build affordable and supportive rental housing. Accessible Housing’s current building on the site overlooks Confederation Park and houses 11 residents. The new building will be home to 45 adults with limited mobility as a result of spinal cord injury, an acquired or congenital physical disability. Gibbs Gage Architects has designed the new 42,000-square foot, three-storey facility on the sloped lot allowing for ample patio space and a walkout to the park, connecting residents with the outdoors. A fully accessible design features zero step entries, wider spaces, roll-in-showers and other unique features. Residents will also have access to 24/7 care supports, as well was dining service, shared laundry facilities, common areas and other amenities. A barbeque celebration that included residents and their guests at the current site was hosted in September by the four gentlemen and their families. See the online photo album.